I've got two pieces of news for you this week. 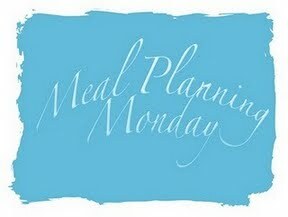 Firstly meal planning is working for me, as I lost 3lbs last week and reached my 4 stone milestone! Secondly Tomato Barley Risotto from Whitworth's is horrible, don't bother with it! I was looking forward to trying something different, but this was bland, tasteless with a terrible texture. It's not often I hate a food (I love food, hence the diet) and there's nothing which can't be improved with a bit of salt and pepper, but this was disgusting. There. Rant over. Pretty standard, normal, regular food. Doesn't seem diet like to me either, which is how I like it! Now all I need to do is put the internet grocery shop in for it and make sure my teenage son will be around to take it in and pack it away! Don't forget this is a blog hop, with lots of people linking up with At Home with Mrs M. Take a look and see what everyone has planned.